The huge growth of podcasting has drawn attention to the consumer appeal of audio content. There are a number of businesses transforming information — which might have previously been in the form of a book or video — into short audio clips which can be accessed on the go via user’s smartphones. Audvisor is one such company. The start-up produce three-minute clips full of advice from business experts, which users can consume during their free time. 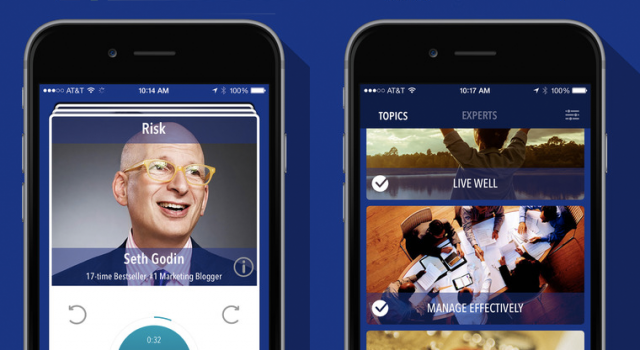 Audvisor is a smartphone app which already hosts thousands of clips created from 90 minute long interviews with experts such as author Seth Godin and venture capitalist Heidi Roizen. Consumers can listen to around 1000 of the bite size audio files for free or pay for a premium version which gives them access to the full Audvisor library. 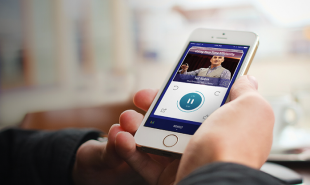 Each clip focuses on a single topic such as ‘how to be a great leader’, and as the listener interacts with the content, giving episodes a thumbs up or skipping clips, the app begins to learn their preferences and offers more relevant content as time goes on. Users can search by contributor or subject and they can easily share the clips on social media. Audvisor is available from the App store and on Android. Could more educational subjects be turned into digestible clips in this way?